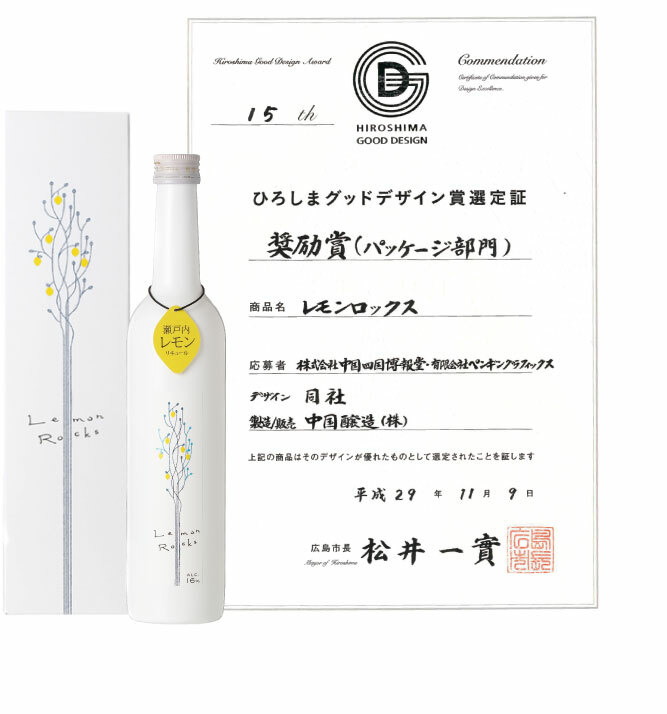 Lemon Rocks received Encouragement Prize of Hiroshima Good Design Award! “Hiroshima Good Design Award” is awarded for the good product that made in Hiroshima and it has been set up and promoted the development of design industry since 1994. At the same time, it develop an understanding for design. Lemon Rocks received Encouragement Prize of Package section. Lemon Rocks is made from 100% Setouchi Lemon and acidulant and flavoring agent are not added. Please try Lemon Rocks,the lemon liqueur with natural rich lemon fragrance from lemon peels and fresh lemon flavor!